There is no question that on 1 of the most important days of your life, your makeup HAS to be flawless. Whether you are a makeup lover or a bride that prefers natural beauty all it takes to achieve a stunning look is planning and practice. 3. Use individual eyelashes. They’re a great way to make your eyes stand out look more natural than a full strip. 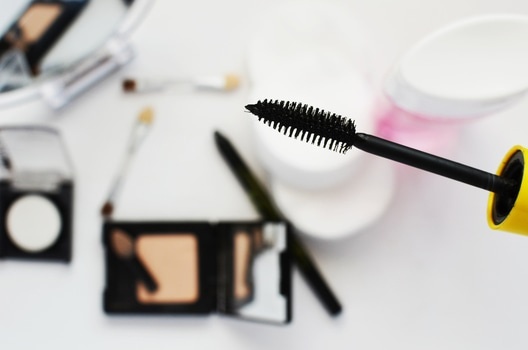 Graduate the lengths to create a fluttering look(Short on the inner eye and go longer on the outer eye) Place them in between your natural lashes instead of on top. 4. Use a matte eye shadow because it won’t reflect the light from the camera flash and won’t look shiny in pictures. Pair these 5 tips with you wedding day makeup regimen and see how your look will be transformed!! When purchasing concealer there are 3 things you must know in order to ensure you’re purchasing what will work best for YOU. Be sure to follow me on Facebook!!! Do you want to learn how to create and master your own flawless everyday look?? Contact me and let me help you transform the way you see and present yourself! Are you joining us for the Beauty Basics workshop? Are you joining me at the Beauty Basics workshop?? someone to show us what and how to do it. Trust me I know…. I’ve been there! Because I’ve been there I decided to create a workshop to help you learn what you need to know about creating a look that works for you. Maybe what you want a more “natural” look but all you see is the cake faces and it makes you not even want to try. I get it…. I was there, but I decided to learn how to perfect what works for me. Now I want to help you do the same! As a bonus you’ll also learn how to tie a headwrap. I bet you want to learn that too….. I can guarantee you will leave this event with all there is to know about creating a flawless look! Did I mention this event is free? Reserve your seat today! Space is limited!